As of version 2.9 ScreenSteps can automatically check for updates each time it launches. Prev: How do I Resize an Image Without Resizing Annotations? 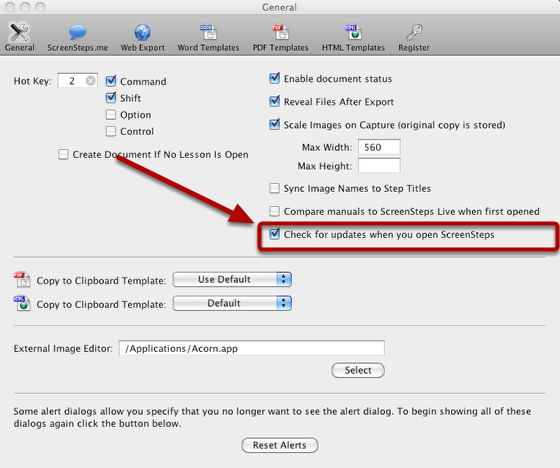 Next: How do I Upload a Manual to ScreenSteps Live from ScreenSteps Desktop?